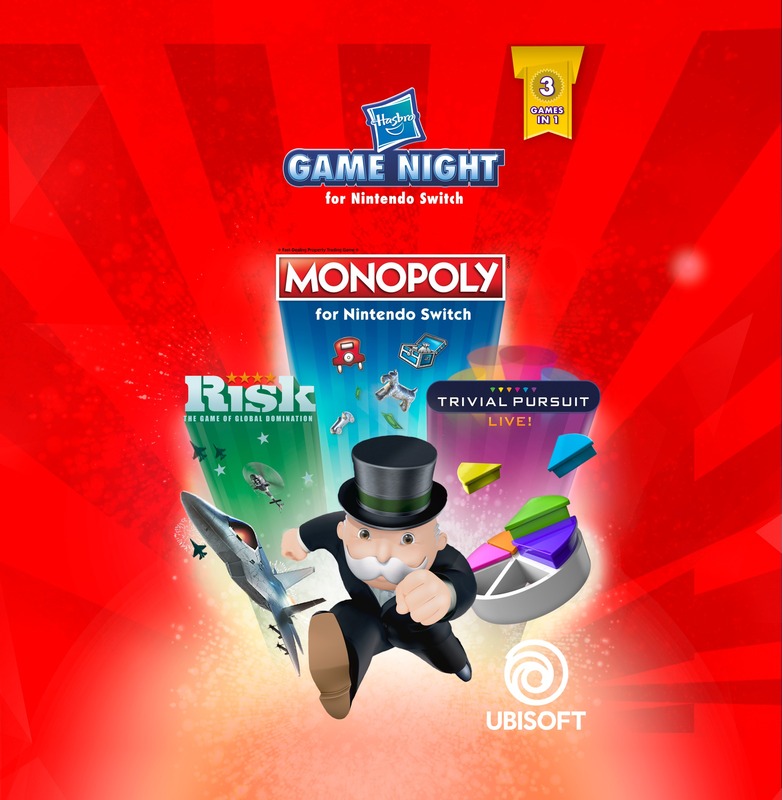 Ubisoft® and Hasbro® announced that HASBRO GAME NIGHT for Nintendo Switch, a compilation of the RISK®, TRIVIAL PURSUIT LIVE! ®, and MONOPOLY® for Nintendo Switch video games is now available in retail stores for $59.99. The RISK, TRIVIAL PURSUIT LIVE!, video games are also available as standalones for $19.99 each only in digital, while MONOPOLY for Nintendo Switch is available as standalone for $39.99.